Heather's original home is nestled in the mountains of northern Alaska, nearly 100 miles past the Arctic Circle and nearly five days by river from the nearest town. 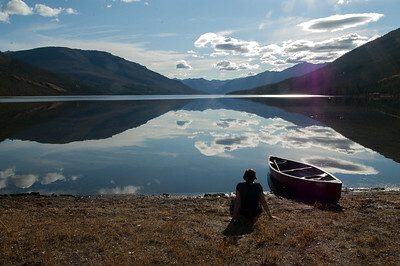 For nearly two decades her family lived in the beautiful solitude of the Brooks Range Mountains. Heather continues to spend time each year at her family's homestead, and her photography is deeply influenced by the hours of solitude and reflection this land continues to provide. When she was a child her family moved to Northern California where she was introduced to the dynamic world of towering redwoods and the rocky coastlines. Over the years, Heather has had the privilege of living, loving and photographing both worlds. Heather's work has been shown in the San Francisco International Airport (SFO), as well as in galleries, businesses, and libraries in California, Alaska, and Kentucky, and has been published in books and calendars. However, she derives the most joy from compliments and emails she receives directly from the individual people who appreciate her work. Click here to see her portfolio.